Hi there, internet friends, long time no talk! You will notice a few changes around here over the coming weeks. I figured the start of fall was the perfect time for a little re-launch. 1) I've removed the majority of pictures that show Haddie's full face and I won't be sharing any more in the future. I always thought it was strange when bloggers did that but hey, hi, now I'm one of them. I am also trying to figure out watermarking/copywriting pics so you'll probably see those pop up on my pics in the near future. I'm not even 100% sure that I want to keep using her real name -- I'm open to thoughts on this. I've obviously been using her name on here, but I could change it to a nickname or even a fake name, as I've seen other bloggers do, though that seems a little inauthentic to me. What do you think? 2) One of the other biggest changes is that I've made my Instagram private. I took a look at my followers and realized there were literally hundreds of people that I had no idea who they were. A lot of them seemed like fake/bot accounts, too. It really disturbed me that these total strangers could be doing god-knows-what with my pictures. I have since removed these followers. If you were one of them, I'm sorry -- shoot me a DM and I'll add you back. As a solution to the blog/Instagram dilemma, I decided to start a blog account so that new readers can keep up with me there! I do hope that everyone will follow my new blog account. There's nothing there yet, but it's @ourcapitallife. I think I'll start using the stories feature more on there than I do on my personal account. (I've also started new Pinterest and Twitter accounts, but there's no content there yet either and I can't promise how much I'll use them, so I'm not even linking to them yet). In addition to privacy changes, there will be some slight content changes, or as I'm thinking of them, improvements! I have historically blogged a running diary of my life and I will continue this format, while safeguarding our privacy a bit. I'm also going to mix in some additional material as well. I will be writing a lot about motherhood/parenting. 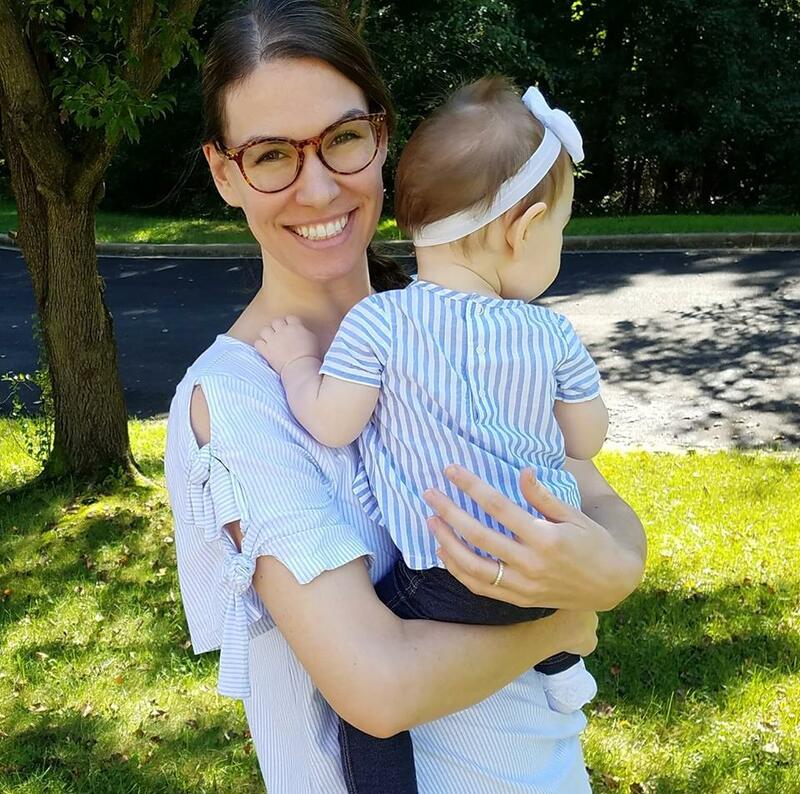 I told myself I would never run a "mommy blog," so my goal is not to turn this into one, but it's kind of all I have going on right now, so naturally it's going to be the focus of the blog at least for now. It won't be the sole focus, though, so please don't abandon me if you hate mom blogs! I've been cooking a lot more so I want to share some recipes and tips. I want to start taking advantage of free things around the DC area, so expect more of that. I've been reading again finally and watching a ton of tv, so I have a lot of thoughts on what I've been reading/watching, if you're into that kind of thing. I know I've said it before, but I plan to write more and this time I really mean it! Blogging has been a hobby of mine for a long time and it makes me so happy to have this little space on the world wide web. I've made a lot of internet friends through it and I love reading blogs myself, so I want to pay it forward by showing up and writing. Also, in this new season of my life, my blog is one thing that has stuck with me for the past 10 years (under various titles). It's cathartic for me to write and it's familiar, like an old friend that I'm happy to reconnect with. I just looked and I've only blogged 6 times all year. That's inexcusable!! So, expect more from me, and feel free to call me out if I'm quiet for too long! With this mini-relaunch, it's a great time for me to ask you, what do you want to read about? Do you like watching Instagram stories? Do you have thoughts on masking Haddie's identity?